Elevate your next adventure at Mancari Jeep with a 2018 Jeep Wrangler. There are 3 different models to choose from, each offering even more adventure and adrenaline inspired handling than the one before it. Choose from the Jeep Wrangler, the Wrangler JK or the Wrangler Unlimited. Mancari has plenty of Jeep new and pre-owned vehicles for our friends in Blue Island to choose from. Each of the different Wrangler models offers a different driving experience. Here is how the three models stack up! All 3 of the 2018 Jeep Wranglers have an enviable and sporty exterior. Each has their own signature design. 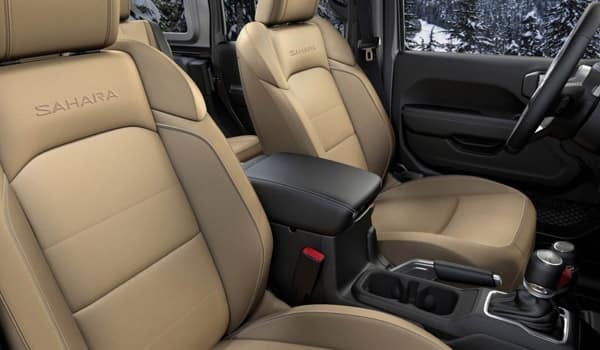 The Wrangler line offers a quality and sleek interior. Each model offers something unique for the adventurer who still craves high-tech features and design. The Wrangler base model is not as no-frills as you may think, the Wrangler JK kicks it up a notch, and the Wrangler Unlimited gets a total revamping. Drivers who crave adventure are not as concerned with technology as commuters. 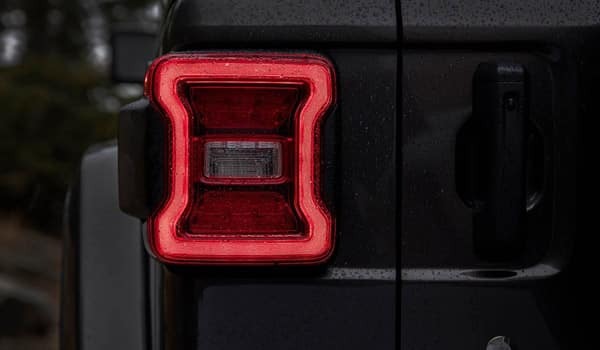 However, Jeep still offers excellent tech packages on all of their 2018 Jeep Wrangler models. Our friendly sales staff at Mancari Jeep is here to join you on a test drive of all of our 2018 Jeep Wrangler models. Search our online inventory for all new, pre-owned and certified pre-owned Jeep Wranglers. Our expert and knowledgeable sales people look forward to showing you all that these vehicles have to offer. Recent Arrival! Call today to schedule your test drive! Please Keep in mind... Nationwide shipping available, Just ask! We accept all offers and approve most, Mancari's of Oak Lawn guarantees the best prices in the Midwest! Appointments are highly recommended, Call us today @ 708-423-1700. Please keep in mind our inventory changes daily. Tax, title, license and doc fees extra. **Must Qualify for all advertised Rebates -- See Dealer for details. ABS brakes, Compass, Electronic Stability Control, Low tire pressure warning, Traction control. $1,437 off MSRP! Call today to schedule your test drive! Please Keep in mind... Nationwide shipping available, Just ask! We accept all offers and approve most, Mancari's of Oak Lawn guarantees the best prices in the Midwest! Appointments are highly recommended, Call us today @ 708-423-1700. Please keep in mind our inventory changes daily. Tax, title, license and doc fees extra. **Must Qualify for all advertised Rebates -- See Dealer for details. ABS brakes, Compass, Electronic Stability Control, Low tire pressure warning, Traction control. $1,576 off MSRP! Call today to schedule your test drive! Please Keep in mind... Nationwide shipping available, Just ask! We accept all offers and approve most, Mancari's of Oak Lawn guarantees the best prices in the Midwest! Appointments are highly recommended, Call us today @ 708-423-1700. Please keep in mind our inventory changes daily. Tax, title, license and doc fees extra. **Must Qualify for all advertised Rebates -- See Dealer for details. ABS brakes, Compass, Electronic Stability Control, Low tire pressure warning, Traction control. $1,715 off MSRP! Call today to schedule your test drive! Please Keep in mind... Nationwide shipping available, Just ask! We accept all offers and approve most, Mancari's of Oak Lawn guarantees the best prices in the Midwest! Appointments are highly recommended, Call us today @ 708-423-1700. Please keep in mind our inventory changes daily. Tax, title, license and doc fees extra. **Must Qualify for all advertised Rebates -- See Dealer for details. Recent Arrival! ABS brakes, Compass, Electronic Stability Control, Low tire pressure warning, Traction control. Call today to schedule your test drive! Please Keep in mind... Nationwide shipping available, Just ask! We accept all offers and approve most, Mancari's of Oak Lawn guarantees the best prices in the Midwest! Appointments are highly recommended, Call us today @ 708-423-1700. Please keep in mind our inventory changes daily. Tax, title, license and doc fees extra. **Must Qualify for all advertised Rebates -- See Dealer for details. ABS brakes, Compass, Electronic Stability Control, Low tire pressure warning, Traction control. Call today to schedule your test drive! Please Keep in mind... Nationwide shipping available, Just ask! We accept all offers and approve most, Mancari's of Oak Lawn guarantees the best prices in the Midwest! Appointments are highly recommended, Call us today @ 708-423-1700. Please keep in mind our inventory changes daily. Tax, title, license and doc fees extra. **Must Qualify for all advertised Rebates -- See Dealer for details.